This is not a good time for the paranoid to be on the internet. In the wake of the first set of revelations from Edward Snowden, more is emerging about the extent of online eavesdropping by the security services on both sides of the Atlantic. According to Snowden British intelligence agency GCHQ showed off the ability to monitor YouTube video views, Facebook ‘likes’ and Blogger visits in real-time to its US colleagues back in 2012. The programme, named Squeaky Dolphin, even had its own logo (though looking at the design, I don’t think the spies should give up their day jobs quite yet). 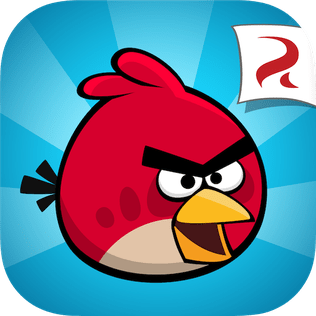 Even worse, spooks have been accessing smartphone data while people play Angry Birds, enabling them to get hold of user’s personal information. Presumably the game was picked due to its global popularity, rather than being a cunning ruse by GCHQ and the NSA to enable staffs to play it during work time. And in an unrelated story, a security company has found an internet-enabled fridge that has been hacked and is now sending spam. This is particularly worrying given the rise of the Internet of Things, with more and more devices and appliances around us connected to the web. Essentially each of these is a small, but powerful computer, often without the same level of security and protection than you see on a PC or tablet. Being able to hijack a fridge is one thing, but as the Internet of Things spreads, more sinister opportunities arise – remotely controlling smart cars or switching on and off hundreds of air conditioners to bring down a power grid are all possibilities. Taking these stories together leads to two concerns in my mind. Firstly, internet privacy. I think most people understand the need to collect information on identified threats to public safety, provided due legal process has been followed. What Snowden seems to have uncovered is technological spying that has gone mad – exactly what you’d expect if you put a large bunch of very intelligent geeks in a room, give them all the resources they need and exonerate them from any qualms of conscience by saying it is in the national interest. So what happens to information that is found online that is not linked to terrorism but minor, non-criminal misdemeanours? GPS data that shows an MP was with his mistress when he should have been elsewhere or evidence of unsavoury (but not illegal) internet activities for example. The nature of technology means this information is unlikely to disappear, but will sit on servers somewhere, with no guarantee that it won’t be pulled out in the future. Secondly, security concerns have the ability to derail the Internet of Things. As Google’s recent purchase of Nest shows, market momentum is increasing. But if people add the worry of security issues to privacy concerns they are less likely to embrace the opportunities that the Internet of Things offers when it comes to increased efficiency and energy saving. After all, I don’t want GCHQ to know what’s in my fridge – or burglars to know when I’m away on holiday. There’s been a lot of talk from politicians about reining in the security services and that needs to be formalised to reassure the law-abiding – instead of enabling spying, the tech industry should be focusing its intelligence on improving the actual security of the devices and applications that control our lives.